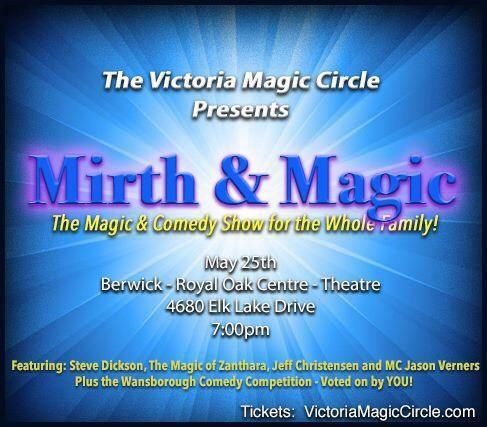 Just a reminder, Mirth & Magic tickets can be bought via Paypal at this link. Tickets are only $10 each! The next meeting will be held on April 16th at Langford Firehall #2. Start time is 7:30pm. The theme will be: Coin/Money magic! This is the Annual General Meeting where we will be voting for next year’s Executive. If you want to run for a position or wish to nominate someone for a position, please contact Murray. Jason has performed at Resort Casinos like Turning Stone, Foxwoods, and Mohegan Sun, and at corporate events for Fortune 500 companies including Fuji Films, Northwestern Mutual Life Insurance Company, and General Motors. He has performed at the famous Magic Castle and has consulted for the hit Broadway show, Cheers Live. He has appeared on ABC’s 20/20 and Inside Edition exposing card cheating scams. In 2013, Jason released his first book Confident Deceptions. In 2018, Jason released his second book Game Changer. 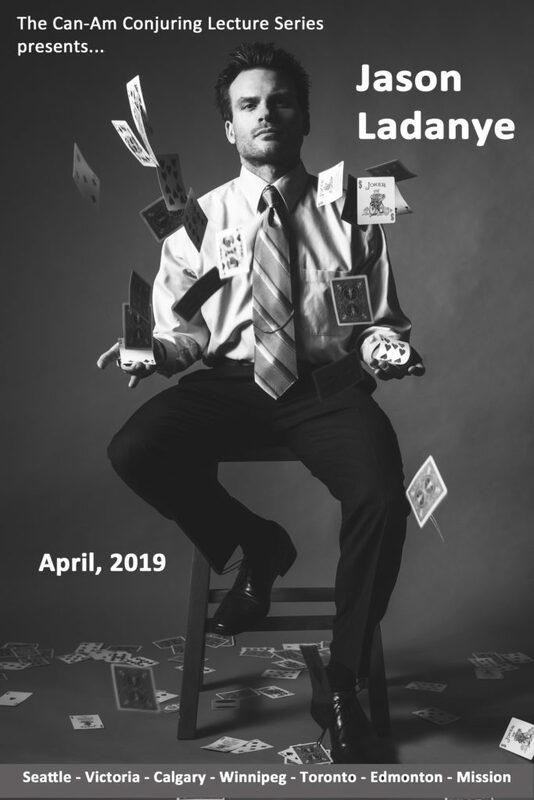 Jason Ladanye is known for creating high-impact card tricks that play like miracles for lay audiences. These aren’t “pick a card” tricks. These are effects that make you look like a world-class card mechanic. Jason is constantly creating new and original plots that are meaningful and very entertaining. These effects are practical and most importantly, they don’t all rely on knuckle-busting sleight of hand. In this lecture, Jason will teach several killer effects. In addition to teaching the mechanics of the tricks, Jason will share his insights on how to make your show one that the audience will never forget. Learn how to connect with your audience and how to get them hooked—and keep them hooked. He’ll also cover topics such as effect construction, audience management, magic theory, misdirection, dealing with hecklers, developing your character and persona, how to maximize the impact of every trick, and much more! Books, DVD’s, close-up mats, practice mirrors, and lecture notes will all be on sale as well. Take the stairs or elevator across from the deli counter where you order Chinese take out. When you get to the second floor, turn left off the stairs or right off the elevator and you will see the meeting room (just past the Starbucks coffee bar). Bring some magic you’d like to share or work on. See you then!